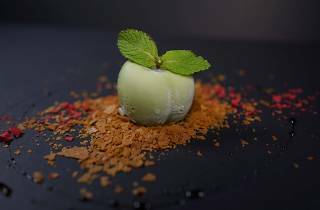 Love is certainly in the air thanks to Le Binchotan’s cheeky Valentine-themed menu ($168 per couple). Fans of puns get a tickle out of Time Foie Love, pan-seared foie gras resting on a pillow of beetroot and house-pickled fennel. Be reminded of how Uni-Que your partner is with the custard sprinkled with bafun uni, Russian caviar and shoyu pearls. You won’t be able to resist chowing down on the Australian wagyu seared over Binchotan charcoal either. 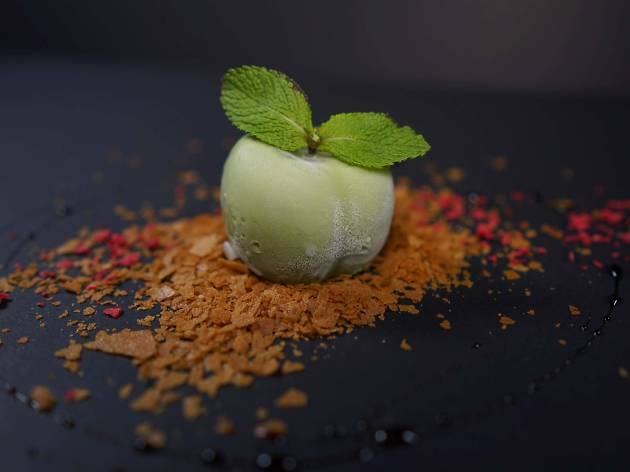 As the romantic meal draws to a close, refresh your palate with an apple-shaped semifreddo of white chocolate infused with matcha powder from Kyoto.